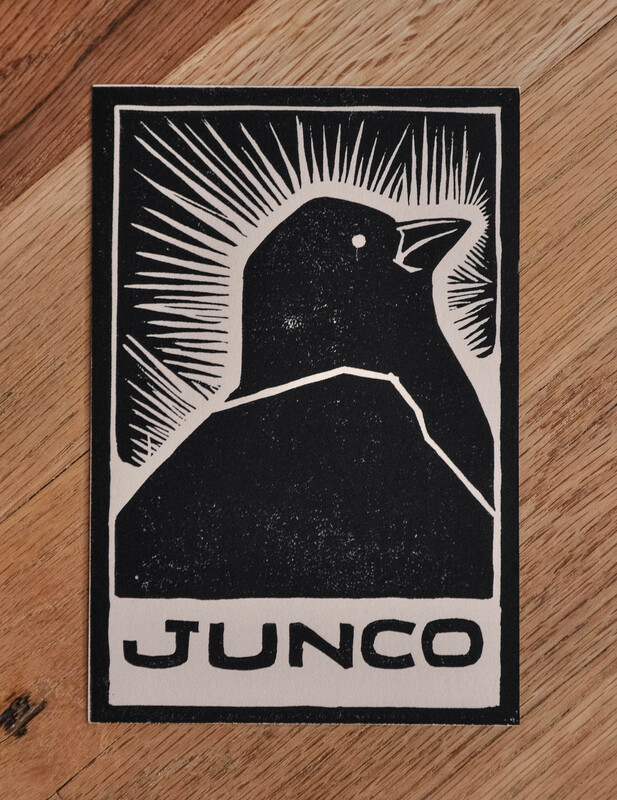 Junco is a music project of mine. I write and play guitars and vocals and my friend Jeremiah writes and plays drums and synths. We recorded this album in various bedrooms and closets on my trusty Tascam DP-008. I asked my friend Robinson paint the image for the cover. 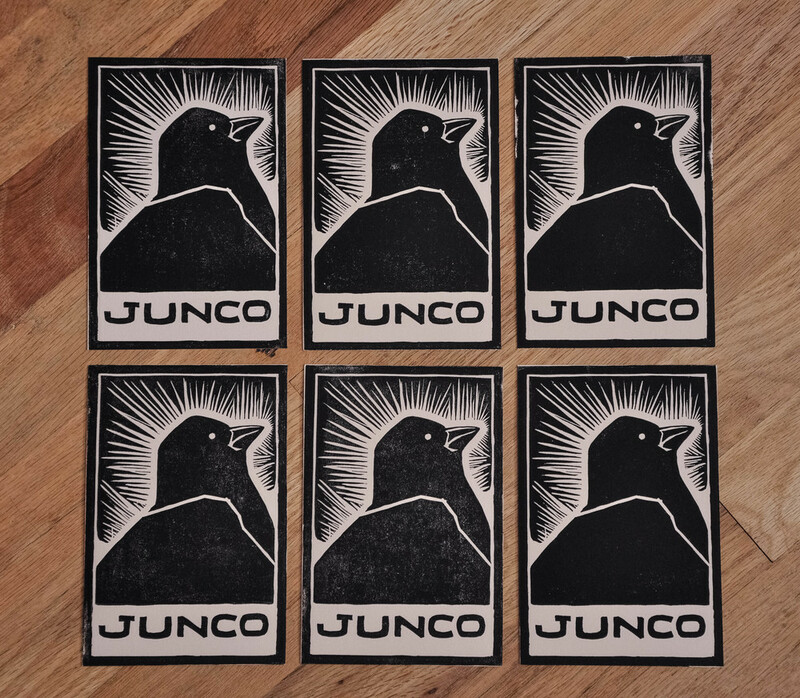 You can hear the album for free at www.junco.bandcamp.com. Series of 4"x6" hand-cut linoleum block prints on high-quality cotton paper for my personal music project.